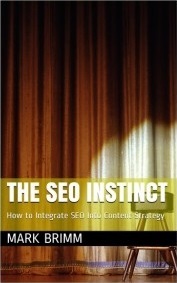 I wrote a new book recently, entitled, The SEO Instinct. It’s for anyone who creates or is responsible for online content and making sure it is best practices compliant with regard to search engine optimization. This book is my attempt to take the steam out of the SEO industry as a whole. To be honest, it sickens me, because nobody, including SEOs, have ever liked the effects of after-thought SEO, yet that has been the persistent mode despite the ubiquitousness Yoast SEO plugin and numerous mountains of posts proclaiming that either, SEO was dead, or SEO was so complicated that it could never be understood by a layman. It’s my statement, and I will continue to issue revisions as they come to me. It’s my personal testament to a new mode of writer-friendly SEO that puts content back into the hands of human beings and organizations, themselves. It doesn’t eliminate the technical SEO industry, but perhaps just helps to ground it back on Earth where it belongs and empower the individual.